EagleSpeak: Somali PIrates: VLCC "Mother Ship" - Just a change of pirate port? Somali PIrates: VLCC "Mother Ship" - Just a change of pirate port? Mystery continues to surround a hijacked Korean VLCC which TradeWinds has learned has moved from one notorious Somali pirate lair to another. The 319,000-dwt Samho Dream (built 2002) is now said to be a short distance off the coast of Garacad in the semi-autonomous Puntland region. The reason for its move from the town of Hobyo some way south of this spot earlier this week, however, remains shrouded in mystery. Garacad is a popular prate ship holding area. Yes, I am one of those who speculated about why the ship sailed from Hobyo. In my defense, I did write here, "Well, this seems an unlikely "mother ship" to me - it's awfully big. But perhaps the pirates lack a more suitable vessel." 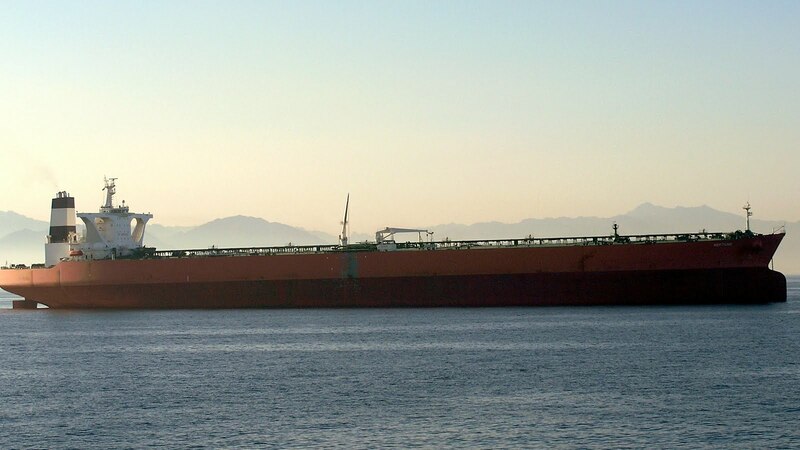 VLCC SAMHO DREAM: Seized April 02, 2010. The Marshall Islands-registered "Samho Dream", a 300,000t oil tanker owned by South Korea's Samho Shipping, was seized by three Somali pirates in waters some 1,500 km south-east of the Gulf of Aden at around 16:10 Seoul time (0710 GMT). There are a total of 24 crew members on board, including five South Koreans and 19 Filipinos. The 319,000 dwt very large crude carrier was on its way from Iraq to Louisiana of the United States. The Samho Dream, which was built in 2002, is carrying crude oil that could be worth as much as $170 million at current oil prices. 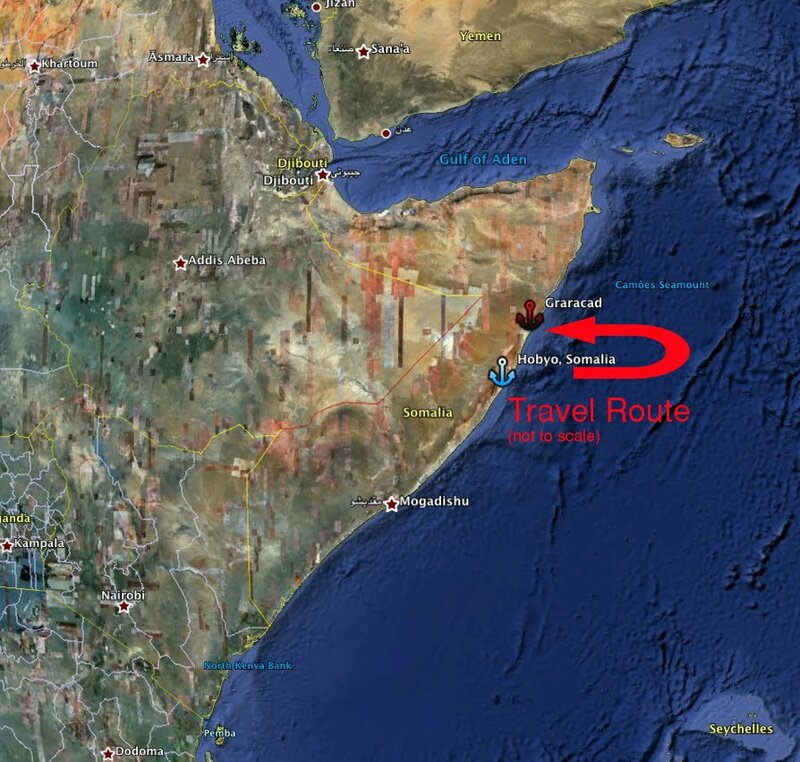 The vessel had been commandeered to Hobyo at the Central Somali Indian Ocean coast and is now anchored 4.6nm off the beach. The South Korean government ordered their destroyer Chungmugong Yi Sun-shin out of the Somali waters and back to its working routine in the Gulf of Aden, but still there are two warships keeping a watch close by, staging mock attacks and caused tension on board, which made the pirates to issue a statement that they would blow up the oil-tanker if the harassment would not stop and no ransom would be paid. soon. Though negotiations with the owners are ongoing no conclusion has been reached. The vessel was moved from Hobyo, where she was held since her capture until the advancement of Al-Shabaab spearheaded Hizb-ul-Islam groups, to Garacad, but was returned to Hobyo. The pirates' demand has not been accepted by the company.